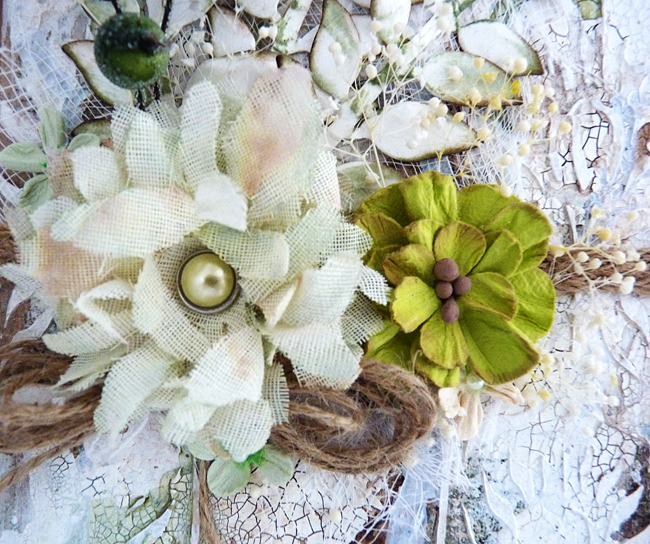 I thought I would go all shabby vintage with my altered make for the new challenge at A Vintage Journey. 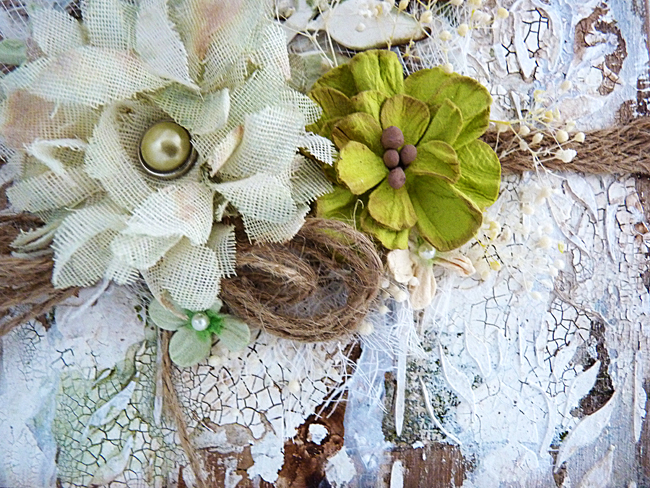 The lovely Alison has chosen Altered Art and would like you to get creative with recycled objects in a vintage; shabby, mixed media; art journalling; industrial, timeworn or steampunk style. Turn something unloved and unwanted into a work of art. 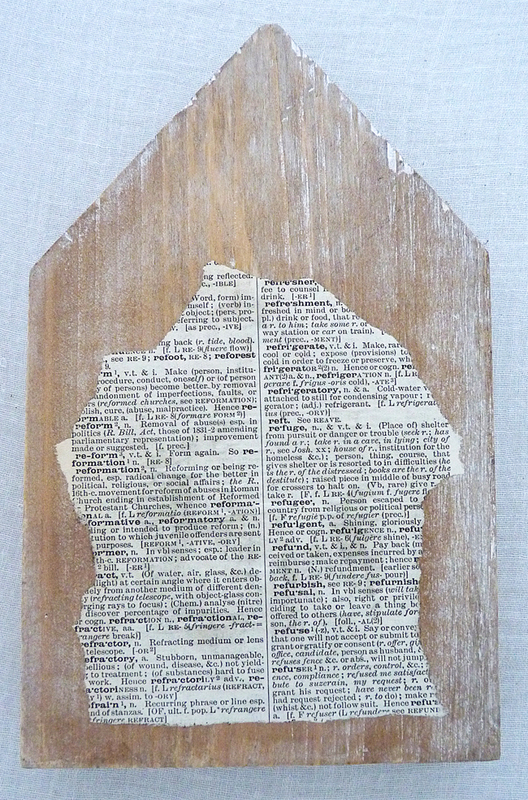 Try some repurposing - make something new out of something old, or incorporate an unwanted object into your artwork. Think tin cans and jars, old bottles, toothbrushes - the more inventive the better. So my block started as this house shape with these words on it but I worked on the reverse side. 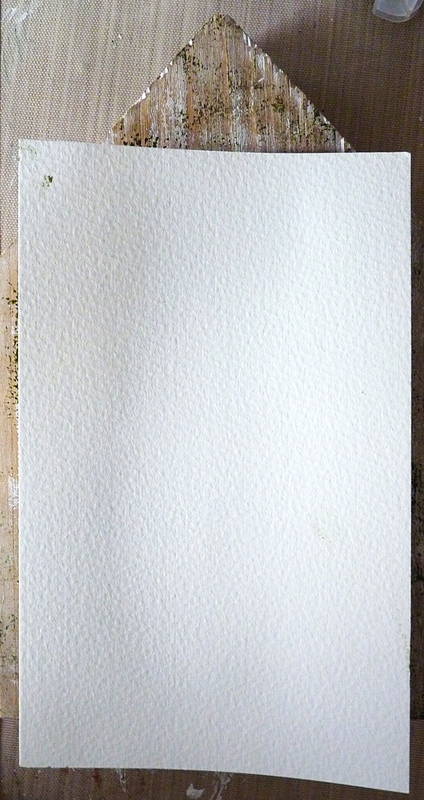 Tear some paper and adhere to the block coating the top of the paper to seal it. 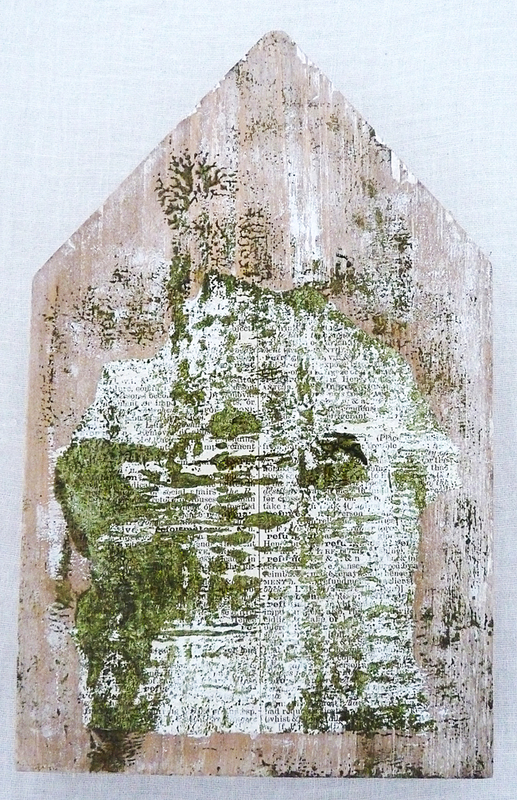 .................... then monoprint it onto the wood block. 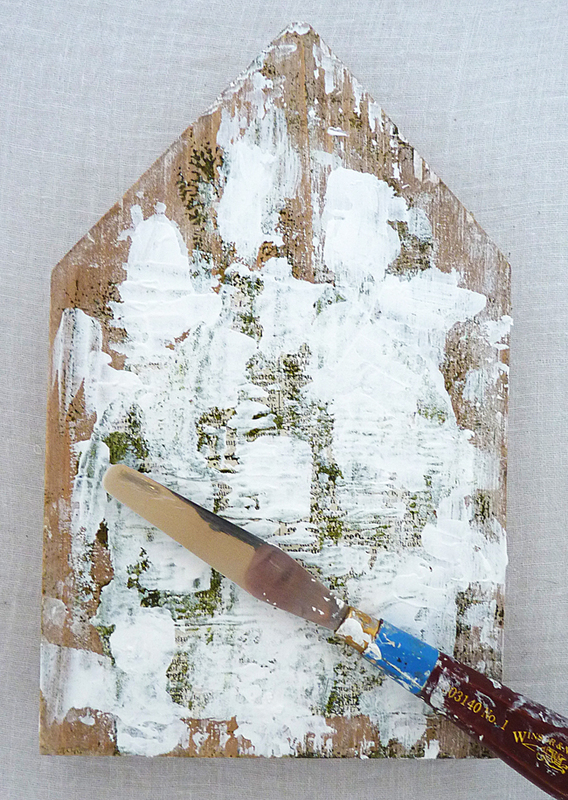 Next scrape some white gesso over with a flat edge I used a palette knife.. 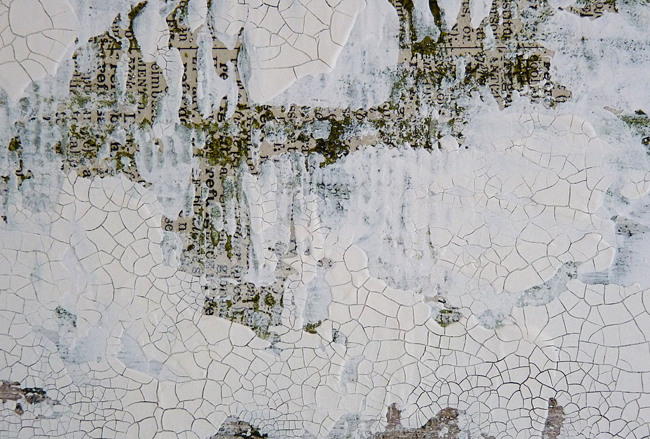 Apply some random patches of white crackle paint and leave to dry. 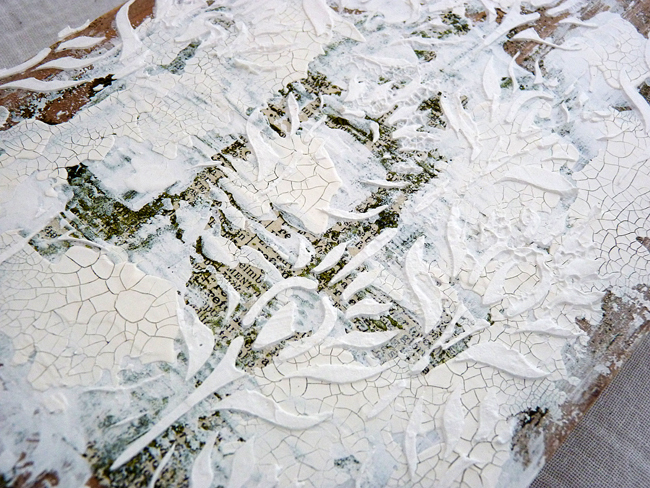 Blend white modeling paste mixed with white gesso through a stencil. 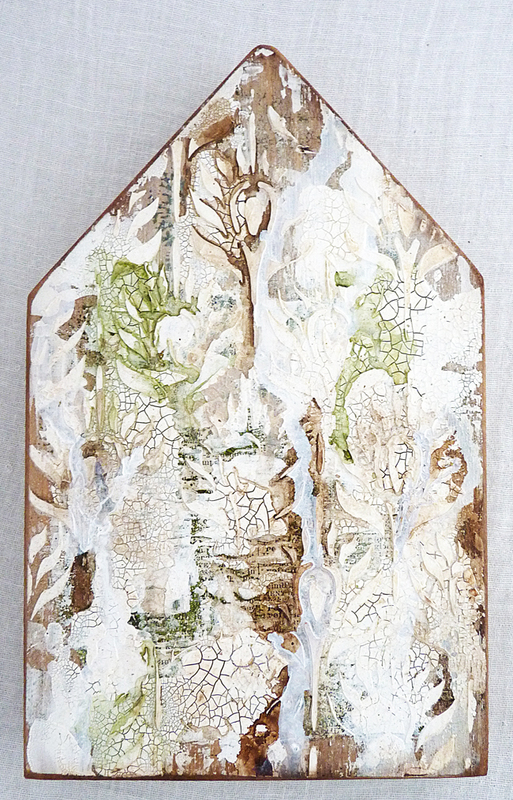 Drip and spritz sap green, raw umber, burnt umber, white and titan buff media acrylic paints through the textures. Sand the edges and blend in ground espresso distress ink. 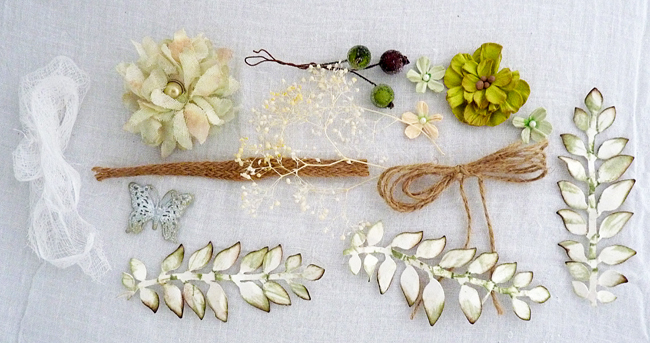 and then gather your embellishments together. I kept to flowers and natural elements with an altered metal butterfly to finish it off. The smaller flowers are a mixture of bought ones. 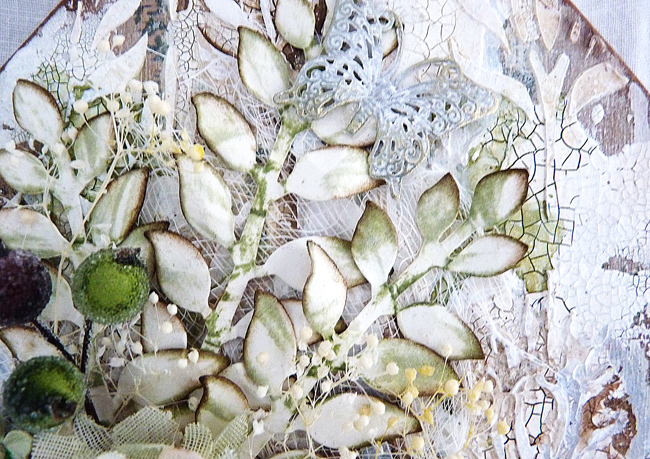 Some cheesecloth, frosted berries and a metal butterfly altered with gesso and treasure gold. 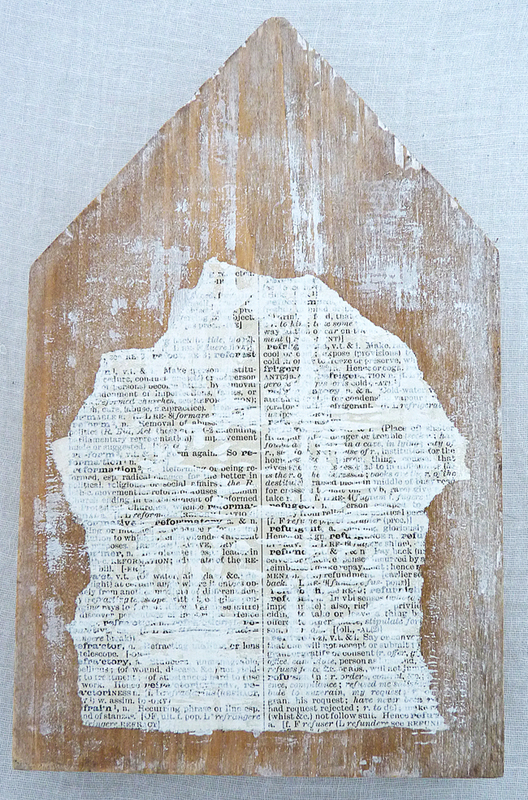 Hope you like my piece of altered art which makes a great piece of home decor I think. I hope we'll see you over at the challenge blog and even if you can't join in for September, you should definitely pop over to see the amazing inspiration from the rest of the team. Brilliant alteration Brenda, so many clever elements! 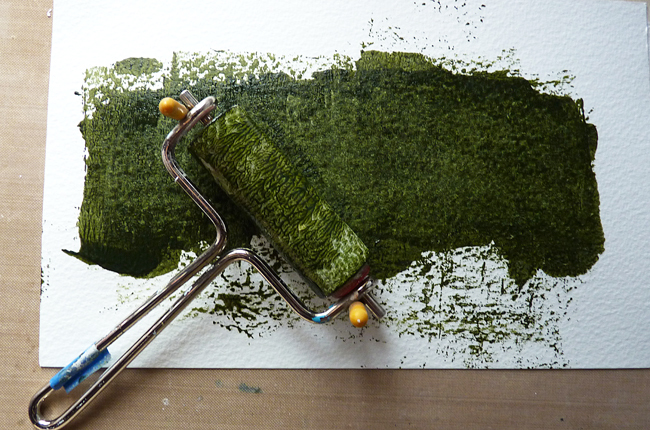 Love the watercolour paper mono printing, it gives a brilliant shabby effect! A great project!! 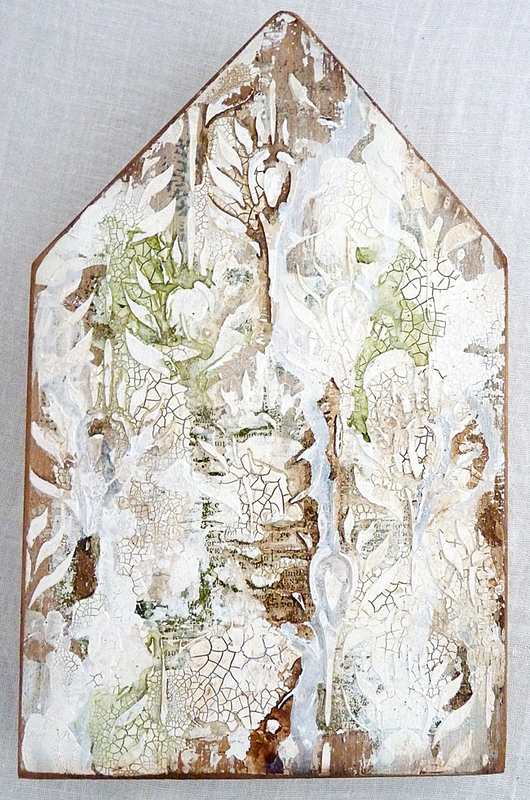 I love the garden ish look of this plaque! A stunning weathered background and the floral flourish is so beautiful against it... this may be a new favourite for me - there's just something about it which makes me deeply happy. This is simply delicious Brenda....I could stare at this all day in awe!! 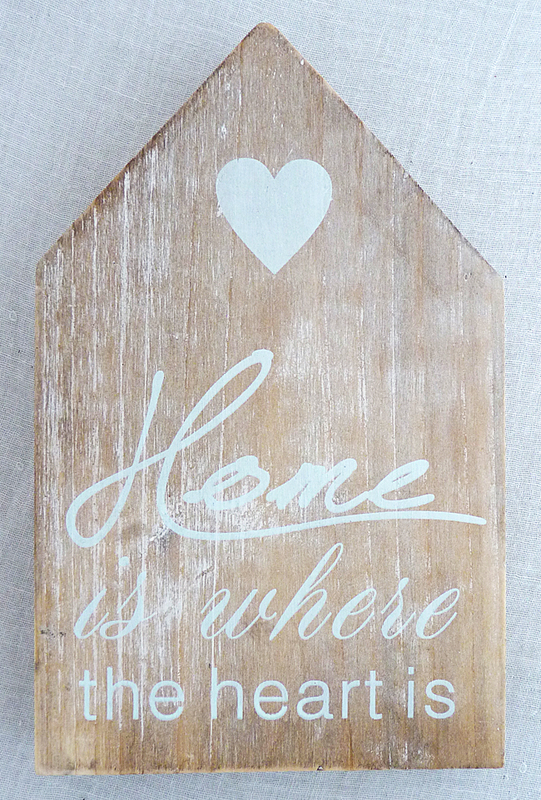 Absolutely ADORABLE - the most beautiful altered wood block! This is a stunning piece Brenda, I love it. Brenda, this is absolutely gorgeous! Love the mix of colors and textures -- it is perfection! I have to say this might be my very favorite of your lovely creations!! Love your altered art Brenda. Thank you for sharing this. 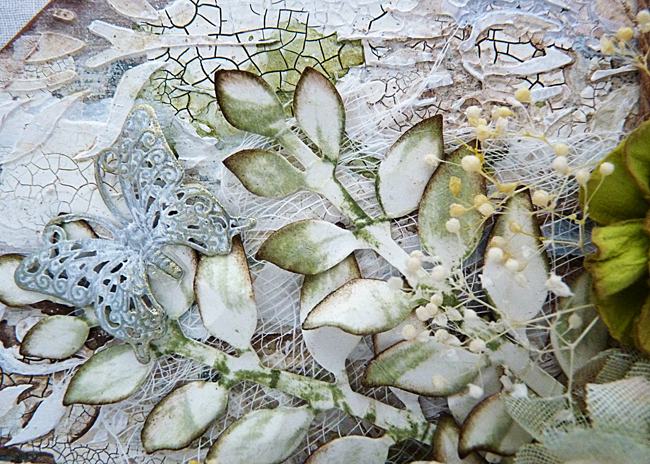 Gorgeous base layers and textures, its a fabulous project Brenda. I really love this home decor project you created, Brenda! 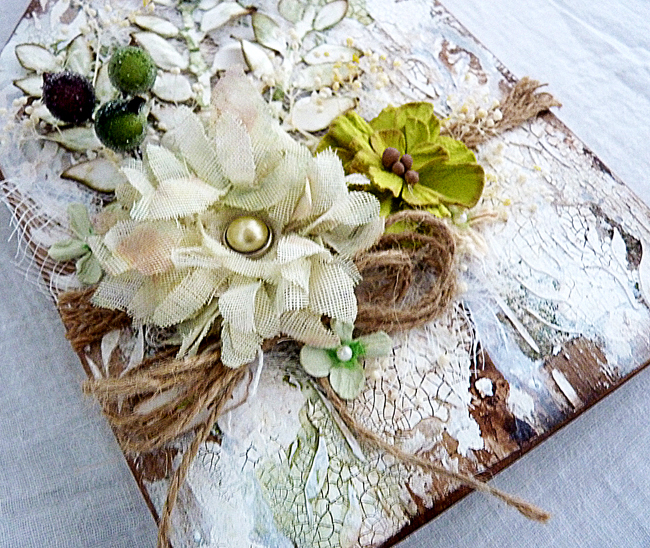 Love the shabby natural look of it! Stunning altered project! 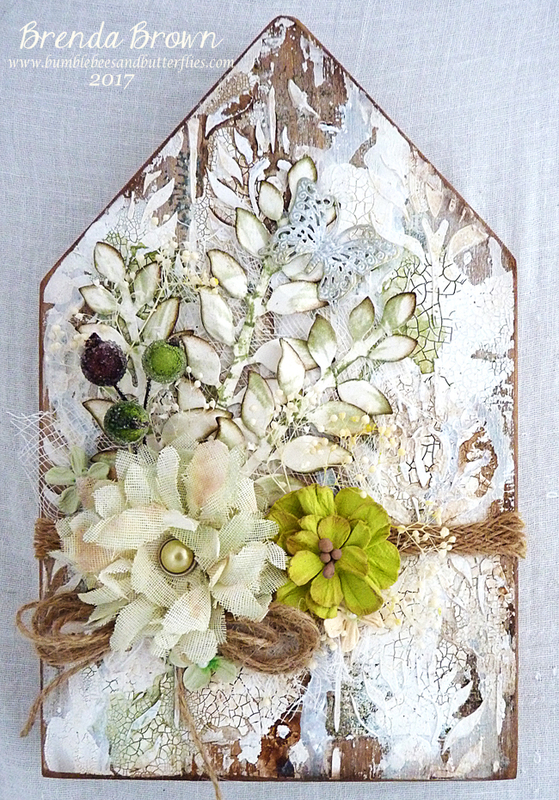 I love your shabby side and this piece is so inspiring! Love the greens--so refreshing on a hot day! Hugs! What a fabulous transformation! Brenda. Lovd reading your post and seeing the various stages of creativity that have produced an absolutely gorgeous background that you have embellished just perfectly. Stunning makeover Brenda! I truly love your layering- so much depth and interest! What a great background you did create, I love every detail and your bunch of flowers make a real artwork of it!! What a gorgeous alteration, Brenda. Thank you so much for sharing the making process. 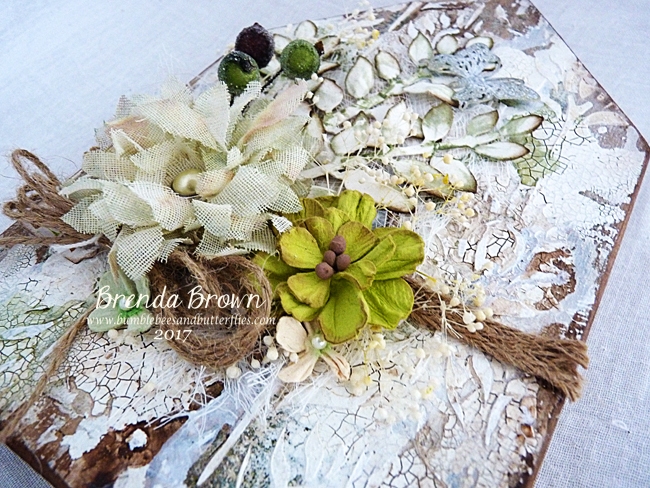 A beautiful piece Brenda, love the soft colours.